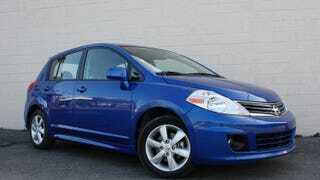 EDIT: Dasupersprint got it correct, it is a Nissan Versa Hatchback! I have four doors, plus a hatch. I am powered by a 1.8 litre engine. I’m not fat, I’m just big-boned. I was hugely successful. What am I?